Afternoon severe thunderstorms blowing through the Colorado Rocky Mountains and the Twin Peaks. Scenic weather view of cattle grazing on Boulder County Agricultural Heritage Center at the Lohr/McIntosh Farm in Longmont. This Colorado fine art nature landscape photography image is available as custom framed or unframed poster prints, decorative canvas gallery wrap or museum wrap, awesome clean acrylic art prints, durable water resistant lightweight metal fine art prints, commercial artwork, home decor products and licensing for all kinds of media. 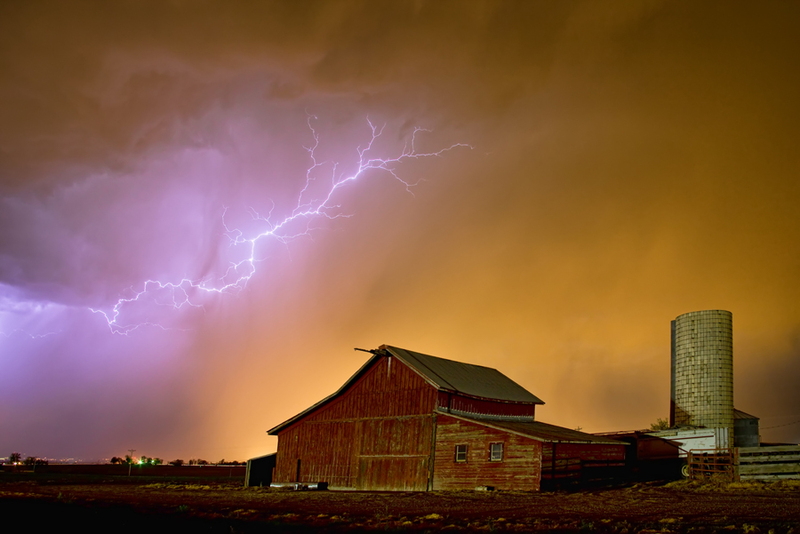 Lightning striking above a farm in the shape of a wishing bone in the sky, SW Weld County Colorado somewhere near Mead. 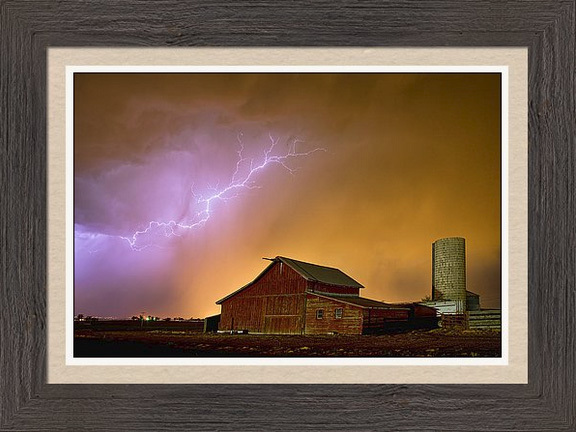 Love these country views when lightning starts striking and dancing in the sky. This is the area that when the storms come in over the Rockies they head out to the NE part of the state and get even more intense. 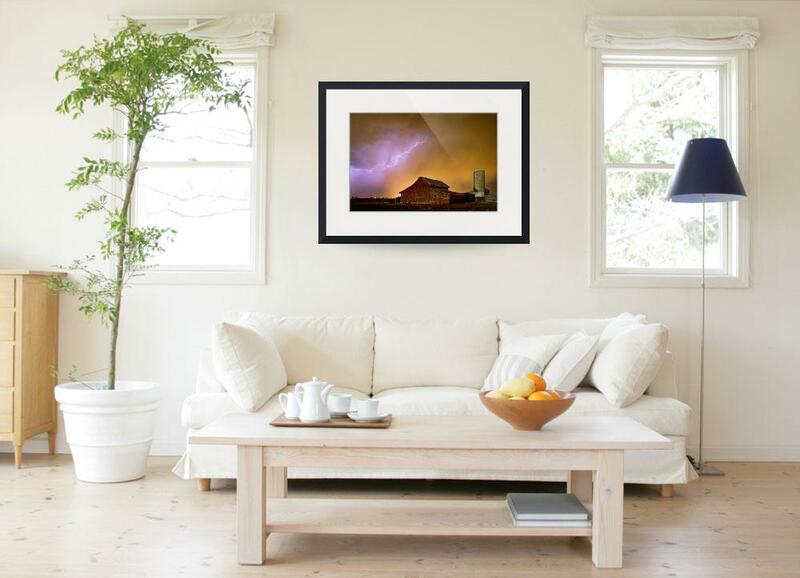 Evening sky with cloud to cloud lightning striking above a white barn and silo out in the agriculture farming country near Mead Colorado, Weld County. As always all eyes are on the sky chasing lightning bolts, rainbows and unicorns yesterday. Still waiting for our first lightning shot of the season, staying local, but may have to take a drive east. Any way, we found a rainbow to chase. Video 4:30 version. Fine art nature landscape prints and stock images by James Bo Insogna (C) – All Rights Reserved. Black and white with selective coloring Colorado western scenic landscape of a ranch in the high country of the Colorado Rocky Mountains with red barns. This was o the drive up Wolf Creek pass from Alamosa. So many cool view live traveling back in time the way the old west was then. Nice to see landscape not developed to the max. Wolf Creek Pass, elevation. 10,857 ft. is a high mountain pass on the Continental Divide, in the San Juan Mountains of Colorado. It is the route through which U.S. Highway 160 passes from the San Luis Valley into southwest Colorado on its way to New Mexico and Arizona through four corners. . The pass is significantly steep on either side (6.8% maximum grade) and can be dangerous in winter. Wolf Creek Pass was made famous in 1975 by Country music artist C. W. McCall’s humorous spoken word song of the same name, in which the pass is fondly described as “37 miles o’ hell — which is up on the Great Divide.” In the song, two truckers drive an out-of-control 1948 Peterbilt down U.S. Highway 160 to Pagosa Springs—a 5,000-foot (1,500 m) drop in elevation. His lip was curled, and his leg was fried. And his hand was froze to the wheel like a tongue to a sled in the middle of a blizzard. Colorado fine art nature landscape photography stock images by James Bo Insogna (C) – All Rights Reserved. Winter season snowy country landscape view with a country red barn and windmill. 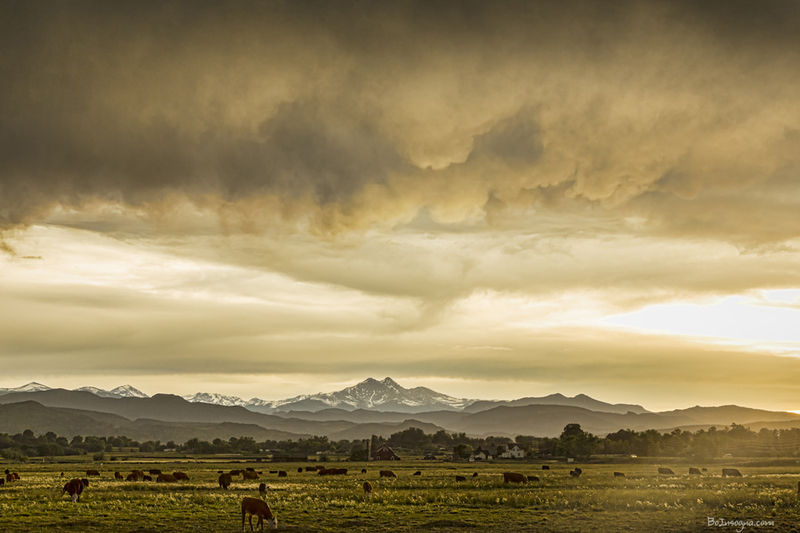 Boulder County Open Space, Lohr-McIntosh Farm, Longmont Colorado. A Colorado lightning thunderstorm on the country plains of Boulder County.